Tencent Games has announced that smash hit battle royale Ring of Elysium has launched in EU territories bringing this year's top battle royale to European players along with a Thanksgiving holiday in-game event. Having successfully launched in North America in September, Ring of Elysium has been well received by players and critics alike with its unique twists on the genre. Ring of Elysium is free to play on Steam now. Surviving in Ring of Elysium goes beyond defeating enemy players, featuring a dynamic weather system, regions are transformed by the arctic onslaught. Players will face the threat of hypothermia as they battle to survive and reach the rescue helicopter. With over 4 million players downloading the game, EU players will be able to jump right into the action. 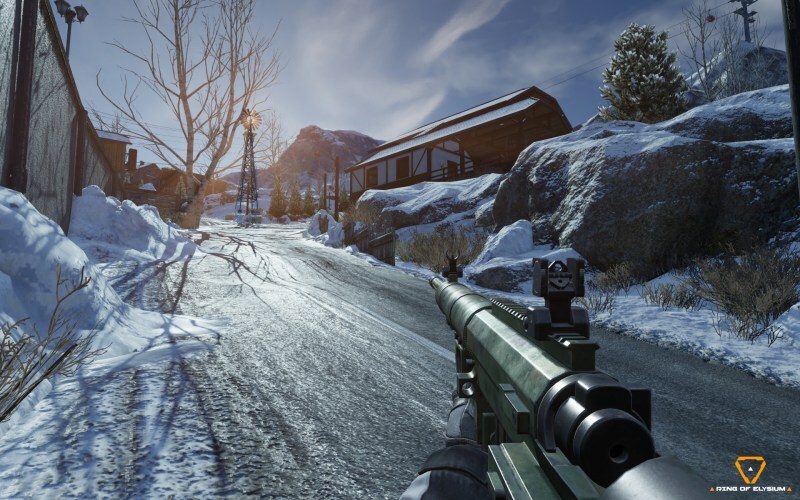 Getting around Ring of Elysium is as extreme as the weather, players can mountaineer, hang glide, and snowboard as well as take control of various vehicles to accomplish the ultimate goal of reaching the rescue copter before being eliminated by an enemy player or frozen by the unforgiving elements. Players across both NA and EU regions will be able to enjoy special holiday items during the Thanksgiving Day event that also launched today and will run through November 27th. Special Turkey Gifts will be given to all players logging into the game during the event period, players will also have the chance to obtain exclusive character outfits for Gavin Lynn and Hikage, experience points, along with other in-game outfits. During the event period, players will also get daily activity tasks with the chance to earn an additional 2000 experience points. Throughout the Thanksgiving event eliminating an enemy player will also have the chance to award additional experience points as well as a rare chance to win a Dell gaming laptop. Ring of Elysium also recently launched its 8-week seasonal event Arctic Survival Season 1, in which players can earn exclusive rewards such as player portraits, glider skins, snowboard skins and more. European players can jump into the action of Ring of Elysium now for free by heading to the Steam page (https://store.steampowered.com/app/755790/Ring_of_Elysium/) .